Homemaker Highlights: Yay!! I am finally back!!! Yay!! I am finally back!!! Our beautiful Lion. 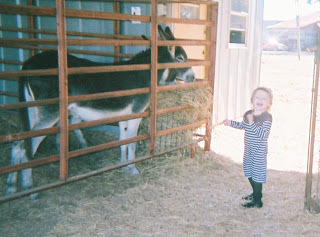 These were at the fall festival held by one of the churches. They had it just blocks from our home this year. Catching a ride with Daddy!! Check out her wheels! Yard sale find and a wonderful investment. She no longer cries in stores. Visiting Daddy at work. The MRI machine in the hospital is getting torn out and they are working in a mobile one. So here's what it looks like. This is her Nana, my Mom, she loves her sooo much and never wants her to leave when she comes over. The Doots and I we are on a mission to cheer up Paw-Paw. She reaches her destination! They played baby dolls and he was so happy to see her. 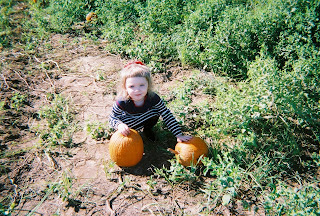 This is the pumpkin patch. We went in search for a pumpkin. 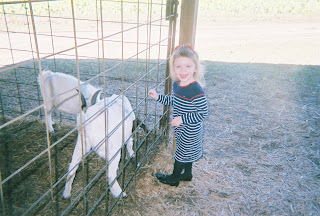 It had a petting zoo, hayrides, and a corn maze. The great pumpkin. Ours is the one on the left. This was her first year getting one and she even slept with it...she also discovered she could use it as a stepping stool as well. I love sunflowers!!!! 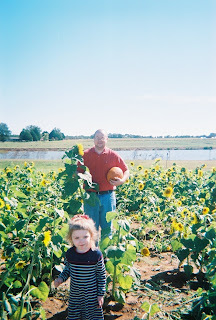 We got to pick free sunflowers out of this field. So Lilly picked one out for me and Barry got the clippers to pick them. I loved them!! They were BEAUTIFUL! This is the festival here. We have it every year. This year she could ride most of the rides and I tell you this child has no fear. Daddy rode the high stuff with her. Daddy won her a tiger just for her. Sorry my computer crashed on me and then acer lost my order. So I waited over a week to get absolutely no discs in the mail. They did try to make up for it by giving the discs to me for free. But, my hard drive maybe corrupted. So we purchased another laptop. 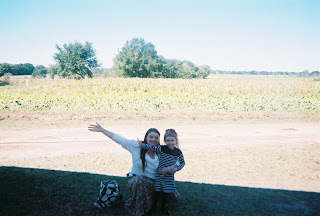 So we have been to the pumpkin patch here, fall festival held by one of the churches here, and the festival we have here yearly. Here are some photos from all and today has been a long day. I had to take Lilly to speech, pick my Dad up from the hospital, and take her to gymnastics. So freebies will start rolling tomorrow. I wonder how many I missed out on!!!!! I would like to ask for prayer for my Dad's health he has had a rough go here lately. I have also included some pictures of Lilly dressed as Minnie Mouse. She loves her. Well, my Dad had been feeling down and had dialysis that day. Nothing cheers him up like his best buddy. So one great thing about Barry working there is he was able to arrange for us to have a personal visit with my Dad during his dialysis treatment. Today he seemed to be doing much better and even sat in the back of the van with Lilly-Rose to pick at her. She is so adorable!!! It looks like a wonderful time was had by all. :) So sorry her papa is in the hospital. I pray he gets to come home soon and recovers his health. Gabe was/is the same way with his pumpkin. He would kiss it good night, watch cartoons with it, roll it around and carry it with him. We didn't cut his up, so he still has it. How funny!